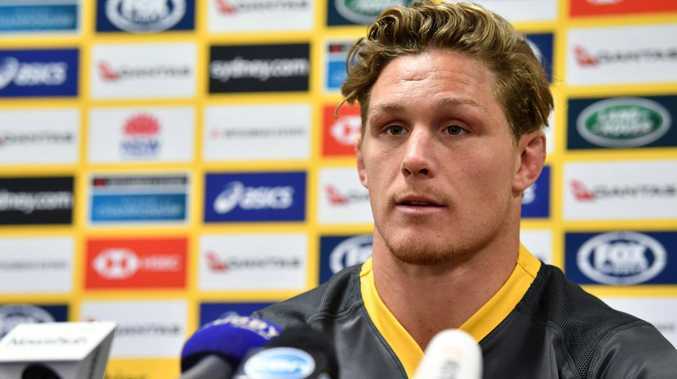 Wallabies captain Michael Hooper says he’s ready for their Bledisloe Cup opener. WALLABIES captain Michael Hooper has declared he can "make a difference" in Saturday's Bledisloe Cup opener. But the openside flanker admits he may not last 80 minutes against the All Blacks in his first game back from a serious hamstring injury. Hooper hasn't played since limping off the field in Australia's third Test loss to Ireland in June. A meticulous professional, the 26-year-old veteran of 82 Tests said he had ticked all the boxes in his rehab but an element of doubt remained as to whether he would hold up in the white hot intensity of a Bledisloe Test. Crusaders flanker Pete Samu is on the bench as insurance if not. "I'll tell you after the game tomorrow," Hooper said in response to a question about whether he would be able to go the journey. "I'm sitting here today feeling great about what I can do and I think I can make a difference in the game. Will Genia and Michael Hooper during the Wallabies captain's run at ANZ Stadium. "I'm going to come out guns blazing. "Look, we'll see how that goes tomorrow night. "The best minutes to be on the field are the back end of the game. "Yes, I'd love to be there. "But whatever's best for the team - and if we can get a really good substitution there in myself or someone else, then that'll be made." After signing a massive five year deal with Rugby Australia that runs through to the 2023 World Cup, Hooper has a lot riding on his shoulders. The All Blacks have held the Bledisloe for 16 years and to have any hope of regaining it Hooper's Wallabies must first overcome a wretched run at ANZ Stadium, which has been the start of the funeral procession in recent years. Since 2009, the Wallabies have recorded just one Bledisloe win (2015) at the cavernous venue while the All Blacks have chalked up six victories, including thumping triumphs to start the series in 2016 (42-8) and 2017 (54-34). All Blacks coach Steve Hansen laughably declared the Wallabies Bledisloe favourites because of their 23-18 win in Brisbane last year. Hooper said all three of last year's results were now irrelevant. "You're not thinking about that last year," Hooper said. "You're not thinking about the wins or the close loss in Dunedin or the loss here in Sydney, you're thinking about tomorrow night." Greater competitiveness at Super Rugby level, the return of David Pocock and the development of the Wallabies' young forward pack give Aussie fans reason for hope that this year might be different. The second Test is at Auckland's Eden Park - a graveyard for the Wallabies - with New Zealand then taking the potential decider to Yokohama's Nissan Stadium in Japan. Wallabies halfback Will Genia this week labelled the Bledisloe as harder to win than the World Cup. "There's no easy way about this thing," Hooper said. "It's going to be hard and that's why different teams, different players have struggled over the course of how many years. "It is going to be hard and we like it that way. "We like that we get the first Test in Sydney. "It's always fun to come out here and it's going to be a great day for rugby, particularly in Sydney and for Australia, as well for us playing the All Blacks. For the second straight Test, Hooper will line up alongside makeshift No 8 Pocock and converted lock Lukhan Tui in the backrow. The Wallabies captain said the battle of the loose forwards against rival captain Kieran Read, Sam Cane and Liam Squire would be the key in the outcome of the match. "It comes down to speed at the ruck," Hooper said. "Ruck's so important at Test level. "Yes, you said set piece, that's got a part in handling momentum. "But being able to retain our ball and slow their ball up. 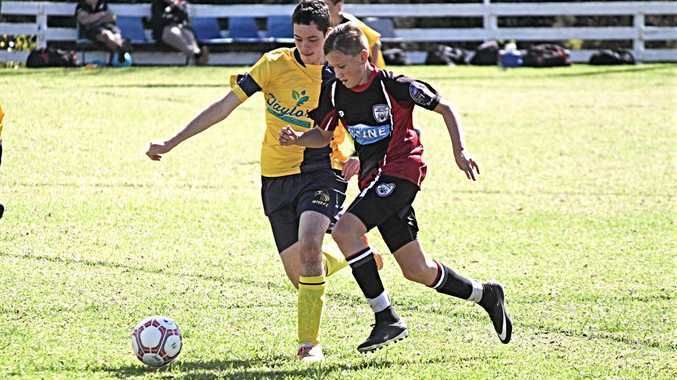 "We know what they can do with ball-in-hand and we're fully capable of scoring points. "We've shown that in June, we've showed that other times. "Backrow obviously has a fair bit to do with that, attacking and defence, getting that area sorted is paramount."